In this day and age, with technology moving forward as fast as it is, Axel Audio has chosen to bring headphone technology to the forefront with their newly kickstarter-backed line launching for the world to see (and hear). 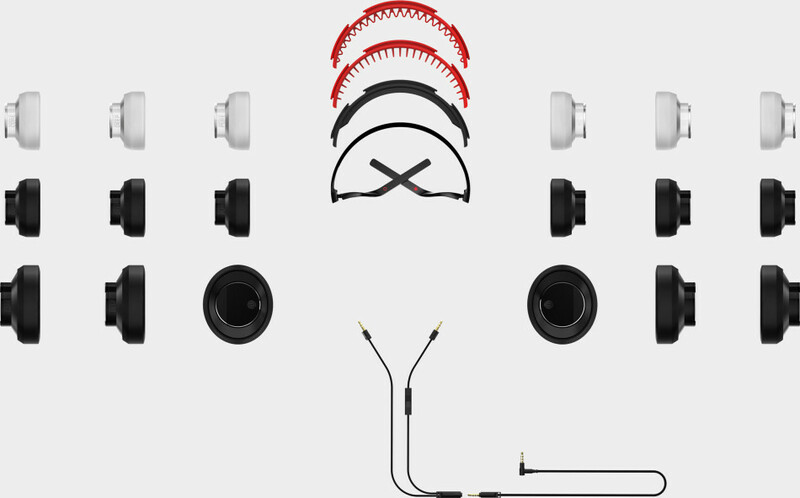 The headphones are incredibly customizable, boasting over 350+ possible sound and design combinations. The headphones are unique in a myriad of ways. First, it works with Spotify to determine which of its three headphone lines (Core, Deep, and Pure) work best for the listener. Pop and rock fans are directed to the core. Hip hop and Bass Heavy electronic music listeners are suggested the Deep line, and for those who prefer jazz, indie, and folk should look to Pure. Secondly, both style and sound are at the users disposal. On- Ear (Axel FX)/Over-Ear (Axel-ID) padding, sleek, minimal design, and easy storage system (it's incredibly easy to pull apart and reassemble at a moments whim) make this the ideal headphone for audiophiles on the go. Traveling musicians, athletes, and the average music listener will enjoy its sleek design and easy mobility. The CEO and founder of Axel Audio has 27 years of experience in the audio industry, and the headphones clearly show his attention to detail and willingness to let the consumer obtain what they truly desire. "Although there was an expectation that we would have our Kickstarter products ready to ship to our backers in August, we ran into a few production delays during the process. We quickly realized that despite everyone’s desires and efforts to create the perfect product quickly and efficiently, that these delayed were inevitable in the first round of mass production. Even though there were opportunities to go ahead and finish our product, we didn’t want to compromise quality and fall short of delivering the product we had envisioned. And so, we made the difficult decision to delay our process until all the pieces came together. " "Given our unprecedented access in this day and age, music is becoming evermore personal. Knowing this, our goal is to return control to our users with our fully collapsible design; by allowing our users to mix and match our interchangeable parts, we allow them to personalize everything from the sound to design and truly create to their own expression." With this in mind, time to explain my week with three of their headphones. I had the opportunity to test the Axel-FX Core, Axel-FX Pure, and Axel-ID Deep, and just because my parents let me use their address for shipping purposes, I had my music-loving parents do a blind test with them as well. First, their results. My father, true to his jazz and seventies funk roots, loved the Pure headphones the best, and my mother (who's current driving playlist includes Chromeo's Fancy Footwork) preferred the Core. As for myself? I liked the bass heavy nature of the Deep. The headphones quickly replaced my other headphones as the go-to, and not just because of the novelty aspect. it's foldable style made it conducive to my small backpack and easy to carry to and from work and then to the gym. It's got solid grips that proved to be soft to the touch but firm when exercising or moving around, and its sleek design gave me extra points from the people I saw in my daily life. Overall, if you're a professional producer who needs solid studio-worthy headphones on the go, this isn't for you. Stick to Yamaha, Sennheiser, and the rest of the classics for that. However, if you're looking for something that looks sharp, sounds great, and is easy on the ears, these are the headphones to purchase. With its incredible ability to adapt to the listeners needs, these are worth the small change it costs to have. With pricing at $145 (for on-ear padding) and $175 (for over-ear padding) these headphones may be considered a serious investment for younger generations, but those looking for something that manages to check off style, comfort, and great sound, will be hard pressed to find a better deal than these headphones. Purchase Axel Audio headphones via their Homepage.